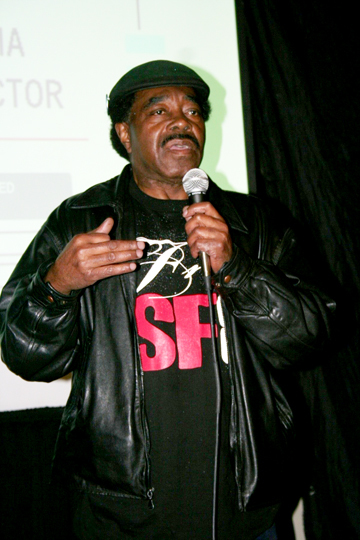 In anticipation of the preliminary hearing to begin June 8 that will decide whether the San Francisco 8, former Black Panther Party members and associates accused of killing a San Francisco police officer in 1971, will have to stand trial, Minister of Information JR of Block Report Radio interviews SF 8 member Richard Brown. California Attorney General Jerry Brown is prosecuting the case based on confessions extracted by torture – confessions found inadmissable decades ago. Now more evidence has surfaced of the torture tactics used against the defendants. The public is urged to come to court Monday, June 8, at 8 a.m. for the rally out front and 9 a.m. for the hearing at 850 Bryant St. between Sixth and Seventh Street in San Francisco. The hearing, which promises to be long and intense, is scheduled to run Monday-Thursday for three to four months. The Block Report begins 16 minutes into this June 1 broadcast of Flashpoints, the investigative news hour heard at 5 p.m. weekdays on KPFA 94.1FM and on dozens of other stations nationwide. Learn more about the San Francisco 8 at www.freethesf8.org, http://freethesf8.blogspot.com, www.blockreportradio.com and here at www.sfbayview.com.